We aim to create a community in which each child and member of staff is treated with respect and consideration. 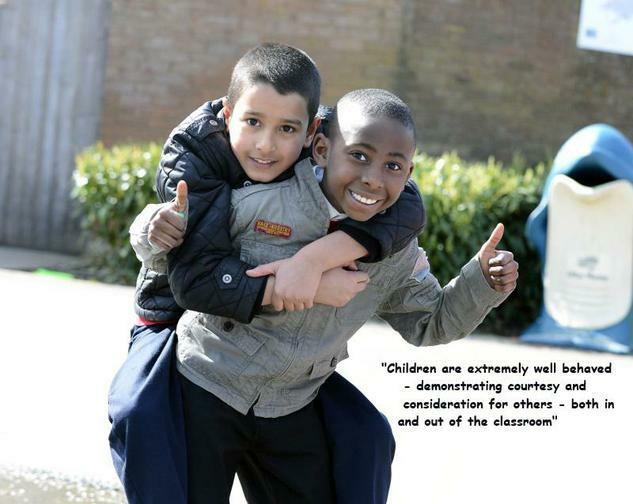 Everyone in the school is expected to behave in a courteous manner and to show consideration for others. Bullying is not tolerated. Good behaviour is appreciated and rewarded within the class and as a school in a special assembly. At Drayton Park, we use Class dojos to reward positive behaviour. Parents are notified when their child is awarded a dojo via an app on their smart phone. We also expect everyone to always walk around the school and to speak respectfully to each other. Inability to adhere to the school rules will result in a loss of privileges. If your child is experiencing repeated difficulties with choosing the correct way to behave you will be contacted and be involved in setting up a corrective or supportive program. In extreme circumstances we may have to ask you to take your child home. Copies of our Behaviour Policy are available by clicking on the link below or from school reception.